Excited to be leading the field trip [Im]material Nuclear Landscapes for TimeSpan, and speaking about my research at their two-day conference Practicing Deep Time. The field trip is part of the Practicing Deep Time conference taking place at Timespan and in the surrounding environments of East Sutherland and Caithness on 23 + 24 March 2018. For more details and information on how to book please visit the Practicing Deep Time page. 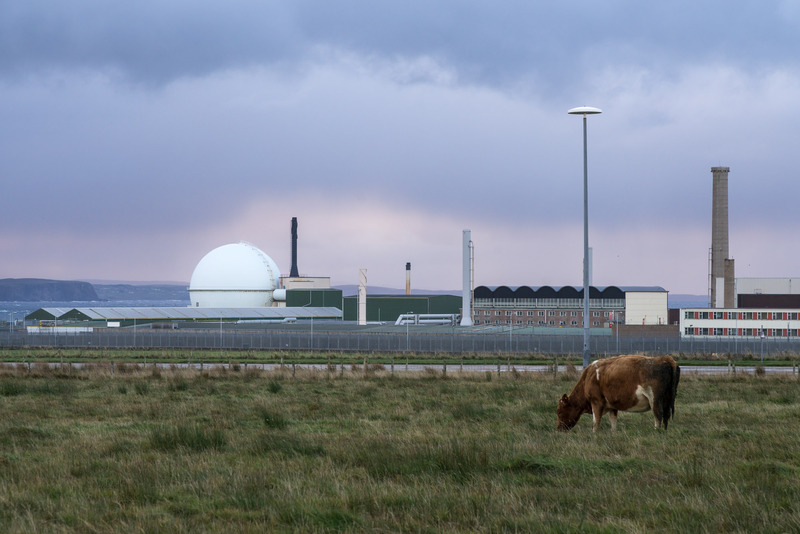 In this field trip led by artist Sam Nightingale, we travel to Caithness – the furthest reaches of mainland Scotland – to ask how we might imagine deep time through the material and immaterial nuclear landscape? That is, through a deep time that stretches into the future as much as it finds its inheritance in the far reaches of the past. We will explore the ‘[Im]material Nuclear Landscape’; through a range of discursive activities that put into tension the concrete infrastructure that supports nuclear energy projects (and their decommissioning) and the seemingly invisible radiological traces that remain deep into the future. The “Trace Evidence” video trilogy explores the geological, meteorological, and hydrological appearance of nuclear evidence secreted within the molecular arrangement of matter. It focuses upon three events: the unearthing of ancient nuclear reactors at the uranium mine site in Oklo, Gabon in 1972, the discovery of Chernobyl’s airborne contaminates at the Forsmark power plant in Sweden in April 1986 and the 7,600 kilometre five year journey of Caesium-137 from Fukushima-Daiichi through the waters of the Pacific Ocean to the west coast of Vancouver Island. Sam Nightingale is an artist and researcher who investigates notions of the spectral, bringing obscured histories, dark ecologies and misaligned landscapes into constellation. The image-worlds he conjures re-imagine place using various methods that included photography, installation, sound and video. Nightingale’s most recent projects engage with conjoining the idea of ‘spectral’ with an expanded idea of ‘ecology’, in which ‘spectral ecologies’ are suggested as the intertwining of social, cultural and power structures with sensible and material environments that make perceptible latent histories and pathways. Nightingale exhibits internationally: his work has been included in exhibitions and film festivals in America, Australia and Europe. He is a PhD Candidate at Goldsmiths, University of London (Media & Communications & Centre for Research Architecture). Susan Schuppli is an artist and researcher based in the UK, whose work examines material evidence from war and conflict to environmental disasters. Current work explores the ways in which toxic ecologies from nuclear accidents and oil spills to the dark snow of the arctic are producing an “extreme image” archive of material wrongs. Creative projects have been exhibited throughout Europe, Asia, Canada, and the US. Recent projects include Trace Evidence, a video trilogy commissioned by Arts Catalyst UK; Bildmuseet, Sweden and Atmospheric Feedback Loops, a Vertical Cinema commission for Sonic Acts, Amsterdam. She has published widely within the context of media and politics and is author of the forthcoming book, Material Witness (MIT Press). Schuppli is Reader and Director of the Centre for Research Architecture, Goldsmiths University of London and was previously Senior Research Fellow on the Forensic Architecture project.